Jim Reid has a page in the Featured Artists section of our site. He is a member of the ATOS, the Walnut Hill VTPO and Theatre Organ SoundFonts groups on Yahoo! 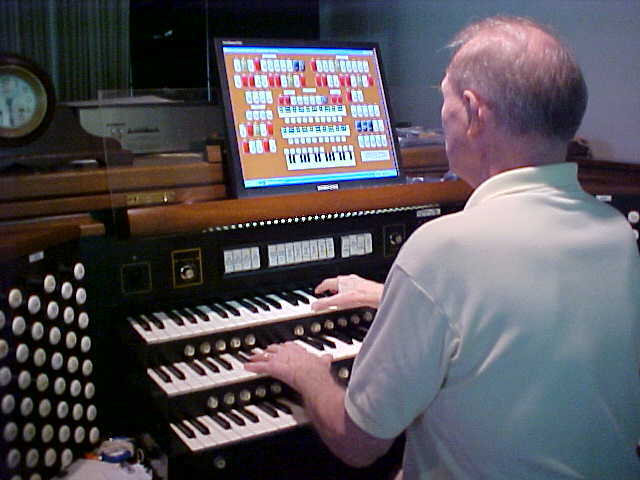 and also holds the office of Research and Development in the Walnut Hill Organ Club. His work with the Mighty MidiTzer has earned him a place here on the Walnut Hill Wall of Fame. On his Featured Artists page, you can see more photo's of his setup and listen to four great tracks he has made on his incredable machine. At the console with the Mighty MidiTzer up on the LCD screen. 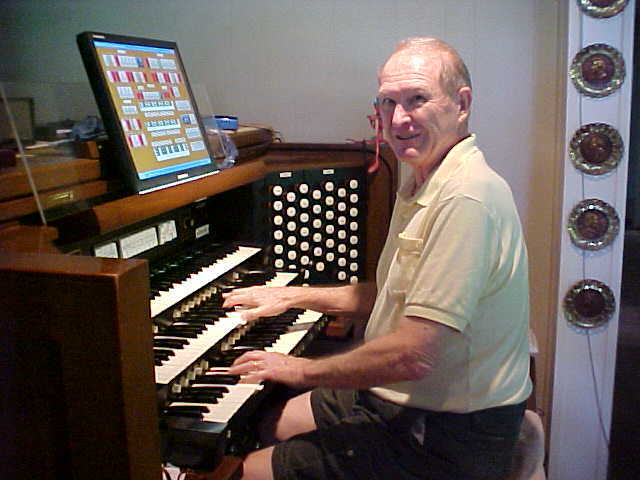 Note that out here, I always play barefoot and in shorts! A better view of the Mighty MidiTzer Virtual Console on the LCD. 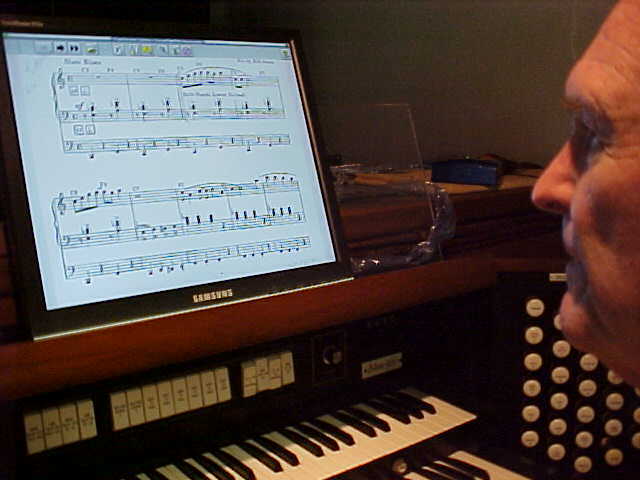 Here, you can see the Mighty MidiTzer Virtual Console on the LCD sitting on the music rack of the Allen organ. A veiw of the nice big notes for easy reading by my old eyes! Here is a view of the nice big notes for easy reading, generated by the FreeHand Systems Music Pad Pro. Music is nice and bright and has good contrast for close study! The Music Pad Pro, keyboard, and mouse all reside on the right-hand end of my large bench -- didn't bother to photo them. Shown on the display is the first page of Bill Irwin's "Frankie and Johnny" arrangement.